If all you needed to do to enjoy a successful sobriety were to give up alcohol or drugs, there would never be any need for rehabs and other long-term treatment programmes. The reality is that the majority of those caught up in addiction will have quit many times – the challenge is not stopping but in staying stopped. The process of building a strong recovery involves some learning and a lot of doing – it is no good knowing what you need to do if you are not going to actually do this stuff. Here are just 10 of the crucial lessons that will help you blossom in early sobriety so you would be at far less risk of relapse. Anything you put before your sobriety is likely to be the thing that leads to your relapse. This might sound like an unlikely claim, but it does seem to always work out this way. Making sobriety your priority is not being disloyal to your job or to your family. It deserved to be your priority because if you relapse, you will be at high risk of losing everything anyway. If you love your family, your job, and your friends, you need to make staying sober your number one concern. One of the most important lessons you need to learn in recovery is about the power of gratitude. The best way to enjoy more happiness would not be to accumulate more stuff but to become more appreciative of what you already have. It is always easy to take the good things in your life for granted, but doing this with your sobriety means there is a huge risk that you will lose your motivation for recovery – this would put you at high risk of relapse. Maybe you have looked upon gratitude as being something that either you feel or you do not feel. The reality is that in order to remain grateful for your sobriety, you need to take action to cultivate this feeling. So how would you go about this? One effective option is to keep a gratitude journal. This is where you make time every day to write down all of the good things in your life. It only has to take a few minutes, but doing this work can make a huge difference to your levels of gratitude. If you believe that staying sober for a certain length of time will mean that you would be then safe to use alcohol or drugs, you are in real danger. The fact that you have become addicted means there have been certain pathways created in your brain, which can easily reactivate; all it takes is one drink or one drug. There are many examples of people who have been sober for twenty years or more, yet have relapsed and ended up right back where they started in just a matter of days. Alcoholics Anonymous warns people that while they are not drinking, their addiction is doing press-ups to get ready for the next battle. Some individuals do manage to build a good life free of addiction without much help, but this can be a much harder path to follow; it is also obvious that this approach does not work for everyone. This is why it is so important for you to get some help in order to increase your chances of success. There are many options for the support you need such as fellowship meetings, and you can choose to attend regular therapy sessions or get a recovery coach for early sobriety. It is also vital that you develop a social network of sober friends, or at least people who are going to act as good role models for sobriety. Relapse triggers are things that happen that put you at great risk of returning to alcohol or drug abuse. The most well known triggers can be remembered by the acronym HALT – hunger, anger, loneliness, and tiredness. If any of these triggers are there in your current environment, you need to immediately rectify the situation (for example, if you feel hungry, you need to eat something). 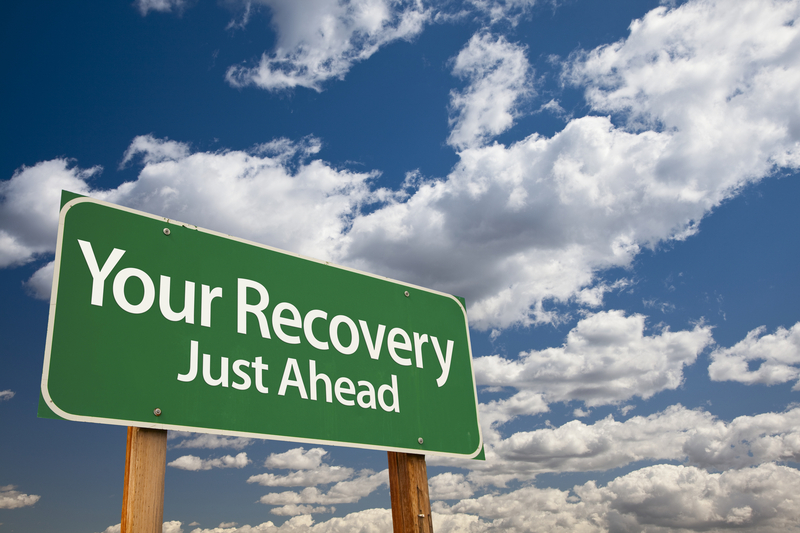 The relapse process refers to things that people tend to experience before they return to alcohol or drugs. There is a detailed explanation of what is usually involved and, if you can spot the signs early enough, you can protect your sobriety. The beginning of the relapse process usually involves becoming stuck in recovery. One thing about positive habits is that it means one no longer requires putting in any real effort to continue with these behaviours. For example, if you go running every morning for a few months, it will eventually just become something you do, and you will not have to drag yourself out the door every morning. It is important that you think of some positive behaviours that you can add to your life and do these daily until they just become habits. Most humans suffer because of bad habits they have picked up, not realising that they can use the same process to develop positive behaviours too. One of the most common reasons why individuals endure a high amount of stress and personal suffering is because they are focused too much on their own needs. Self-absorption only ever leads to misery and it is strongly associated with addictive behaviours. You can overcome this habit by starting to focus more on the needs of others. Doing some type of service is another great way to achieve this; if you belong to a fellowship like Alcoholics Anonymous, you will have plenty of time to help others. The real benefit of goals is not to become overly obsessed with them, but to just have something to aim for in life. You should be able to enjoy the journey to these goals as much as the achievement of them. It is a good idea to set yourself goals that are big enough to get you out of your comfort zone, but you do not want them to be so ambitious that they become unrealistic. Another important thing with goals is that they are clear and you have a means to measure your progress towards them. You are not going to become perfect overnight, but it is important to begin chipping away at any of your character effects. The reason for doing this is that is that these defects will have been the reason you fell into addiction in the first place. This means that every time you overcome one of them, it can move you that bit further away from addiction. Physical sobriety puts you in a position where you can build a better life, but it is emotional sobriety that will really lead you to happiness. This is the ability to live in the present moment and deal with your emotions. The real secret to developing emotional sobriety is the willingness to deal with life on life’s terms. Overcoming new problems allows you to pick up new coping strategies and, when you have enough strategies, life becomes incredibly easy to deal with; it can mean that no matter what is happening in your life, you can enjoy a sense of serenity.